Let’s look at the political angst over trade deficits. A trade deficit is when people in one country buy more from another country than the other country’s people buy from them. There cannot be a trade deficit in a true economic sense. Let’s examine this. I buy more from my grocer than he buys from me. That means I have a trade deficit with my grocer. My grocer buys more from his wholesaler than his wholesaler buys from him. But there is really no trade imbalance, whether my grocer is down the street, in Canada or, God forbid, in China. Here is what happens: When I purchase $100 worth of groceries, my goods account (groceries) rises, but my capital account (money) falls by $100. For my grocer, it is the opposite. His goods account falls by $100, but his capital account rises by $100. Looking at only the goods account, we would see trade deficits, but if we included the capital accounts, we would see a trade balance. That is true whether we are talking about domestic trade or we are talking about foreign trade. The uninformed buys into the mercantilist creed that trade deficits are bad and trade surpluses are good. My George Mason University colleague Donald Boudreaux wrote a blog post titled “If Trade Surpluses are So Great, the 1930s Should Have Been a Booming Decade” (http://tinyurl.com/zh559n8). The U.S. had a current account trade surplus in nine of the 10 years of the Great Depression, with 1936 being the lone exception. 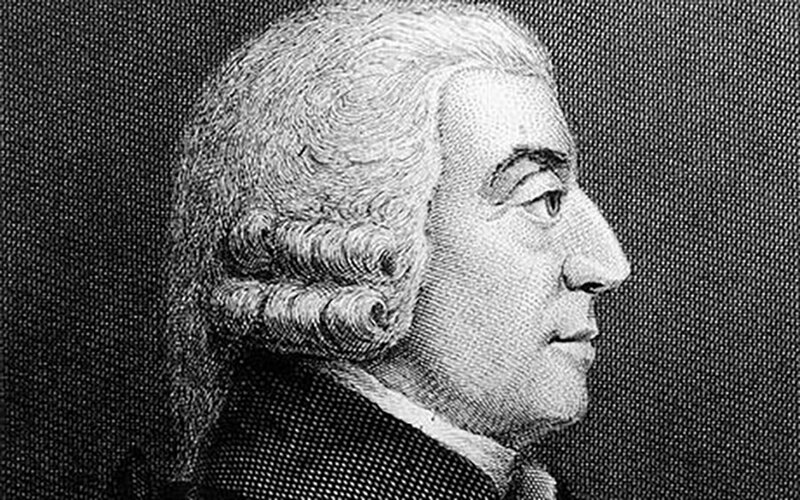 The fact of the matter is that our nation has registered current account deficits throughout most of our history, from 1790 right up to our modern period (http://tinyurl.com/jczqrhu). Over that interval, we went from being a poor, relatively weak nation to the richest and most powerful nation in the history of mankind. So if, as our fearmongers would have it, current account deficits are so harmful, how did we accomplish that feat? Economies are far too complex to draw simple-minded causal connections between trade deficits and surpluses and economic welfare and growth. International trade operates under the same general principles as domestic trade. When we, as consumers, purchase goods from China and the Chinese do not spend a like amount for goods from us, there is a current account deficit. In 2015, Americans purchased $482 billion worth of goods from China. The Chinese purchased only $116 billion worth of goods from us, producing a current account deficit with China of $366 billion. Now, here is my question to you: Do you think the Chinese are so charmed with green slips of paper with pictures of Benjamin Franklin that they just hoard them? No way. Instead of purchasing tangible goods, the Chinese purchase capital goods — such as corporate stocks, bonds and U.S. Treasury debt instruments. The Chinese purchase more capital goods from us than we purchase of the same from them. That means the deficit on our current account is matched by the surplus on our capital account. A large portion of the surplus in our capital account consists of U.S. Treasury debt instruments held by foreigners. As of the first quarter of 2015, the Chinese held nearly $1.2 trillion in U.S. Treasurys. Japan’s holdings were slightly higher. European countries combined held over $1.5 trillion. Some politicians gripe about all the U.S. debt held by foreigners. Only a politician can have that kind of impudence. Guess who is creating the debt instruments that the Chinese and other foreigners hold. If you said it is our profligate Congress, go to the head of the class. If foreigners did not purchase so much of our debt, we would be worse off because the Federal Reserve Bank and the Treasury would create an inflation and there would be higher interest rates. I fear that the angst over trade deficits is simply a front for being against peaceful, voluntary trade among people of different nations.